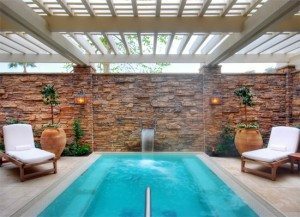 “Spa-goers flock from far and wide to experience the marine-inspired treatments, lavish outdoor amenities and oceanfront pools at Southern California’s Spa Montage Laguna Beach, a resort haven perched high on coastal cliffs. But last year, spa director Julie Raistrick hatched an idea to help attract more regular, local guests, and also make better use out of a relatively underused corner of the 20,000-square-foot facility: a glass-walled yoga studio facing the stunning Pacific coastline. They already offered a few yoga classes, but when Spa Montage unveiled its Surrender Program (2 hrs./from $455) in 2010, in which guests consult with therapists to discuss lifestyle, health and personal issues so that specialists may recommend the ideal treatment or series of treatments to heal and address individual needs, Raistrick was struck by the power of continual, holistic programming to bolster mindful living. 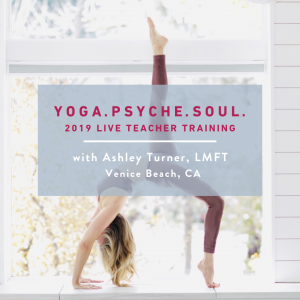 In researching this pursuit, a Spa Montage staff member stumbled across Ashley Turner, a veteran yoga instructor who also runs a mind-body psychotherapy practice in Los Angeles. Turner’s specialty is Yoga Psychology, a synthesis of spirituality, psychology and modern science. “Her holistic philosophy coincided perfectly with ours,” Raistrick says. So the spa reached out to Turner, hoping to expand the scope of its mind and body fulfillment mission by breathing new life into its yoga program. So Turner sat down to design Montage’s e-volve Program, a yearlong curriculum featuring monthly yoga workshops and quarterly retreats. It kicked off in January with two two-hour-long Saturday workshops called “Start by Stopping.” Through group work, meditation and quiet time, guests determined their own habits that needed tweaking in the new year, and set clear goals for 2011. These resolution initiatives were physically explored through detoxifying Vinyasa practices, as well as balancing, restorative poses. 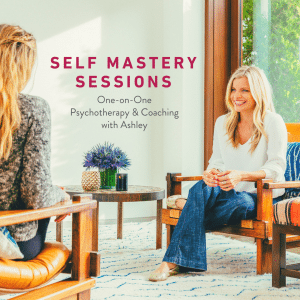 In fact, each of Turner’s monthly sessions is themed in alignment with the natural cycles of the solar calendar to target and address common mind-body issues for that time of the year. February’s “Reconnect and Renew” session addressed balance and fulfillment in relationships—through a discussion of masculine and feminine energy forces and an introduction to Tantra—and “Plant The Seeds of Change” invited March workshop-goers to explore the direct relationship between habits in body and mind to create lasting change through meditative breathing. 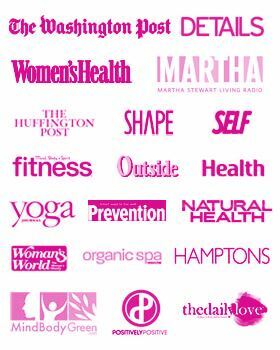 Since e-volve has been publicized through Turner’s email blast lists, Facebook and Twitter pages, public relations campaigns and ties within Southern California’s yoga community, as well as all of Spa Montage’s channels, the spa is now targeting a whole new audience. “Lots of students of curious yoga fans and students of Ashley’s come down from Los Angeles to make a daylong vacation out of the workshops,” Raistrick says. Being a marriage counselor myself, I appreciate your blog post. Thanks.